The battery is the power source of the electric bicycle. There are different kinds of batteries which have different performance characteristics and different costs to own and to operate. You will notice the battery easily in most bicycles. In some of the e-bikes, the battery is ridiculously big in proportion to the bicycle itself. While in other e-bikes, the battery is being held inside the frame (often mentioned as monocoque frame). Modern batteries have a built in battery management system (BMS) which is responsible for diagnosing and monitoring the battery charging and on-going operation. The BMS works in synchronization with the charger and the controller. In some systems, the BMS is located inside the controller. There are usually two fuses in each battery. One protects the battery in the charging process and the other one protects the battery during operation. The battery pack comprises of a couple of cells that are connected to each other either in series to increase output voltage or in parallel to increase output current. Having a source of power is great. It means that you can share the cycling effort together with the electric system. But it's also limited. The battery has a finite capacity per charge and also a finite lifespan. No matter which kind of battery we are dealing with, it would eventually be fully consumed, some faster and some slower. Obviously, you would prefer a battery which is light as possible. You don't won't to carry a brick with you, especially when the battery power is run out! Fast charging - Does the battery can be fast-charged and how it affects the battery in the long term? 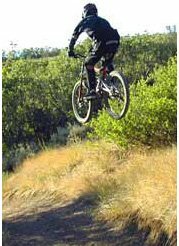 Regenerative braking - Does an electric bicycle can recharge when you go downhill? Maintenance - Does the battery has a good protection against different kinds of weather conditions and what kind of on-going maintenance is required? Safety - What kind of theft prevention mechanisms does the battery has? When the battery has run it's course and it's time to throw it away, you should go to the nearest supermarket, library, school,... and look out for a collection box for batteries. Nowadays, many countries offer recycling programs so it's shouldn't suppose to be a big problem to locate a recycling place like this. Different types of batteries have different recycling procedures. Lead acid batteries, which are also used in cars, are usually dealt by the car companies so if you have this type of battery, you can hand it to them. Other companies are responsible for handling other type of batteries. To read further about the environmental aspects of the batteries (and also of the e-bikes themselves) in comparison to other means of transportation, click here. Batteries in a Portable World - A handbook on rechargeable batteries for non-engineers.